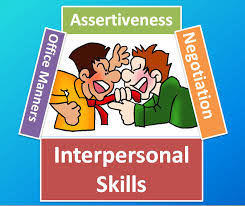 How to Develop Interpersonal Communication Skills - Something New Everyday! Often, problems arise when this coordination is co-opted by one party's ignorance or incompetence at a given element. But do not fear. Here are nine quick tips to improving your interpersonal communications skills that will get you in the game right away. This is perhaps the most crucial skill to learn in improving your interpersonal abilities. Respond thoughtfully and carefully to others, do not "react" because reaction is most often an unthinking (and disrespectful) activity. You can improve your communication skills by adhering to each of the above 9 tips throughout your social and work life. Communicating with people, though outwardly may seem an easy task, is actually an incredibly nuanced and difficult thing when you examine the nuts and bolts of all of the moving parts that happen beneath the surface of interpersonal interaction.